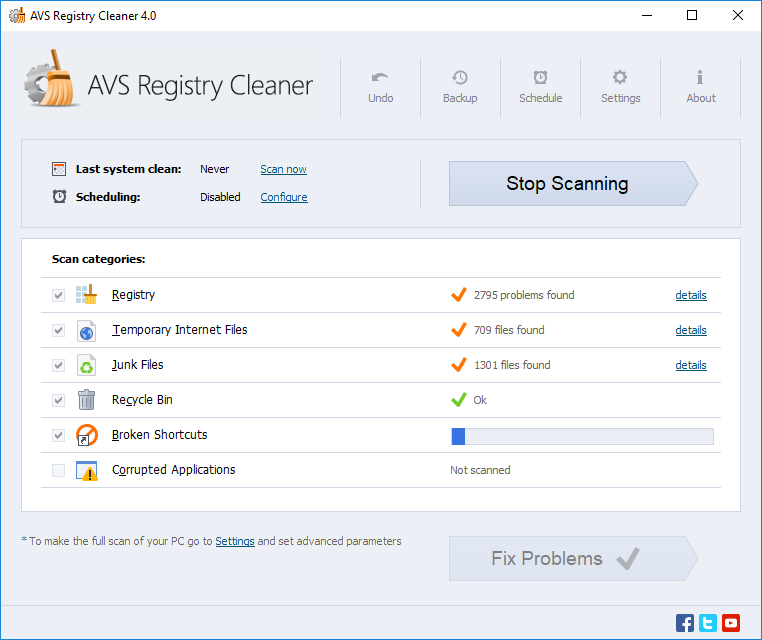 AVS Free Registry Cleaner. 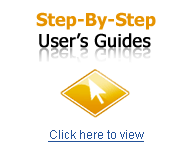 Accelerate your computer using our computer optimization software. 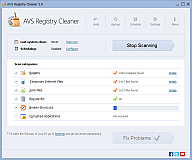 Scan, clean and fix your PC Windows registry. 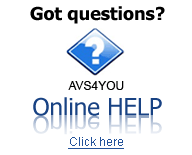 Remove obsolete, harmful or unused items, create system backup. Make your PC operate safe and fast. 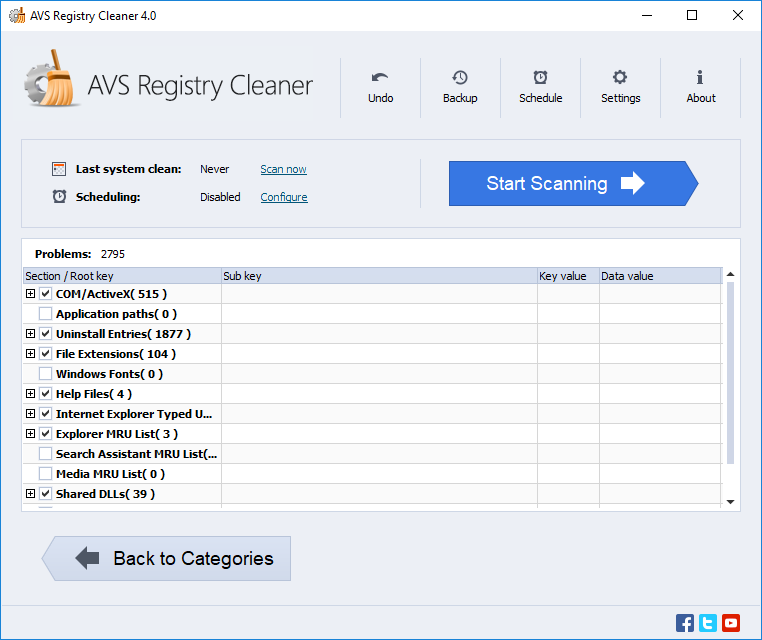 AVS Registry Cleaner is compatible with the latest version of Microsoft Windows 10/8/8.1 including 64-bit version. Windows 64-bit Vista versions are also supported. 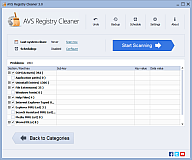 AVS Registry Cleaner interface is available in English, French, German, Spanish, Italian, Japanese, Polish and Russian. Sound: Windows 10/Windows 8.x/Windows 7 compatible sound card The non-activated version of the program has no function limitations, although you will need to register it to fix registry errors found during the scan.